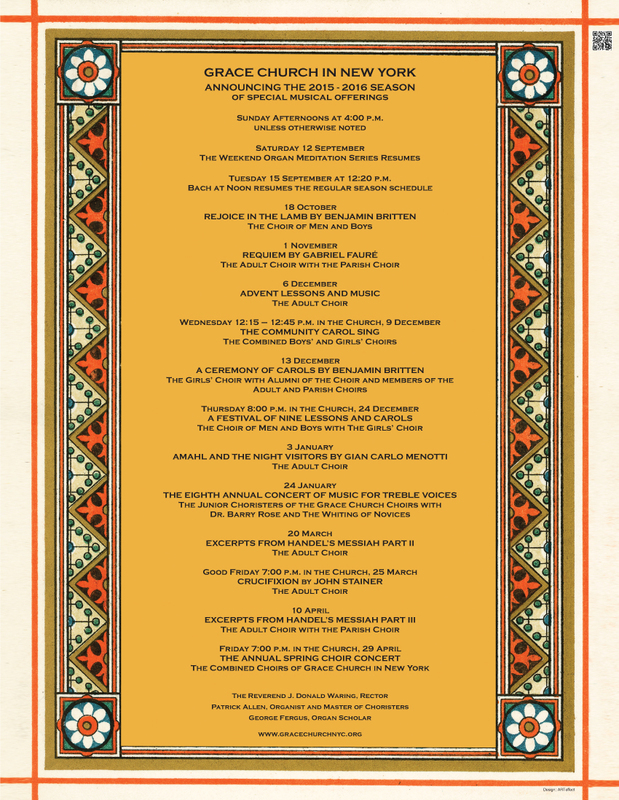 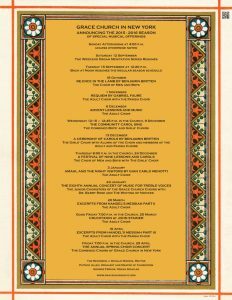 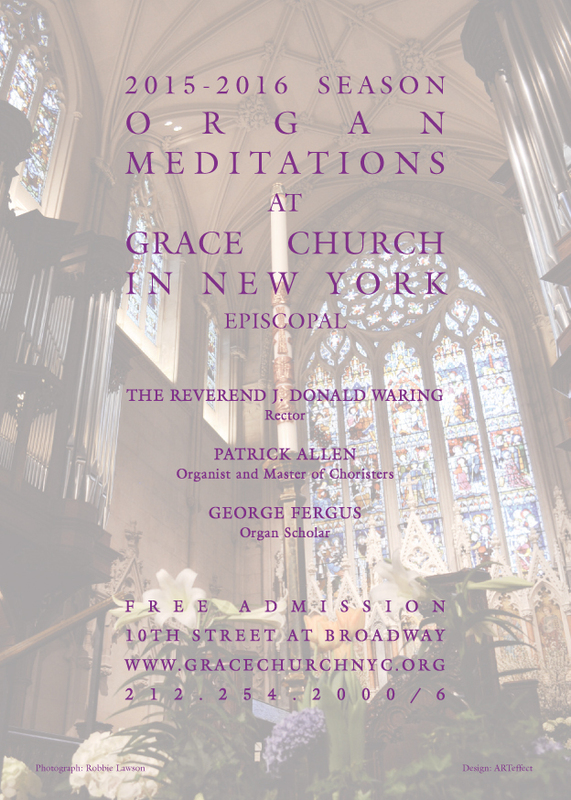 Saturday and Sunday at 4:00 p.m. 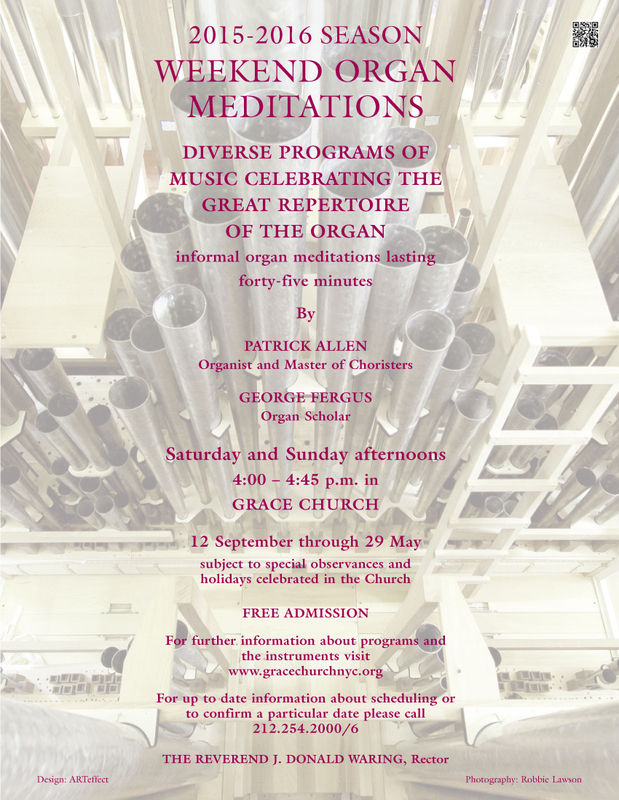 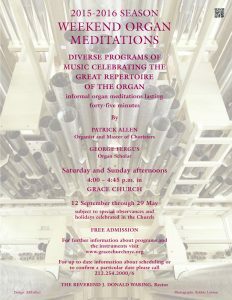 The Weekend Organ Meditations take place when there are no special liturgies or other offerings taking place in the church. 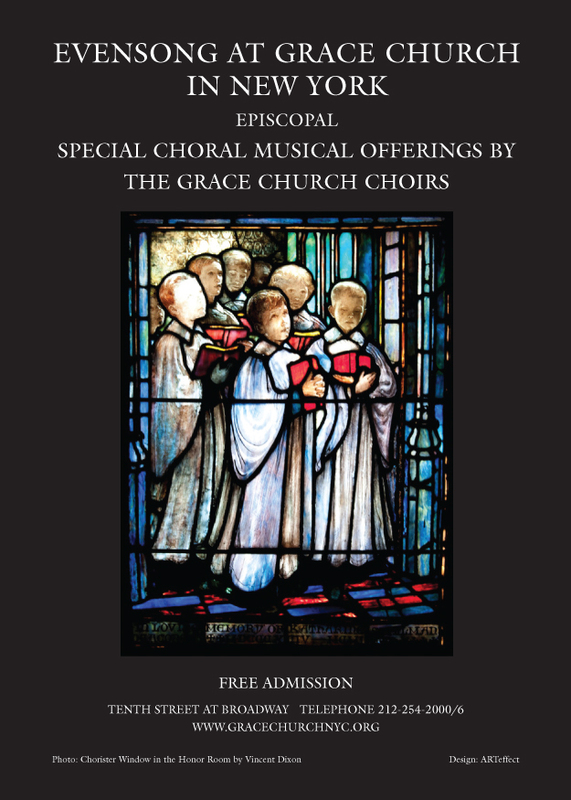 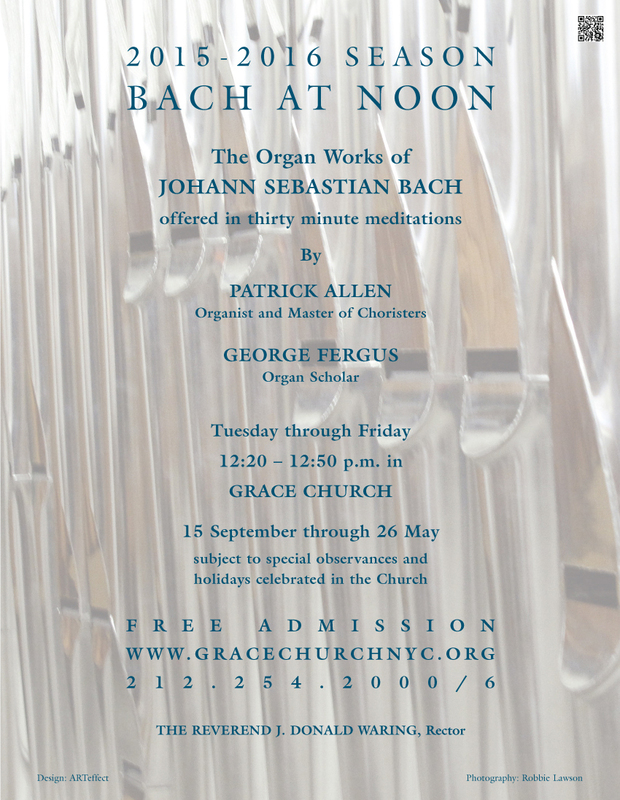 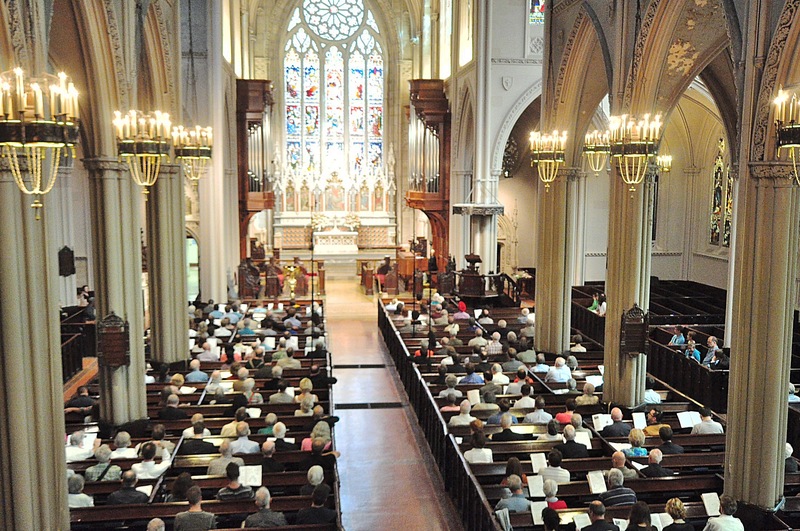 Tuesday through Friday at 12:20 p.m.
Bach at Noon takes place every week between 12:20 and 12:50 p.m. in the Church.